← Skateboarding Bunnies … Peeps? My love of Nutter Butters continues and chicks are just so darn cute! 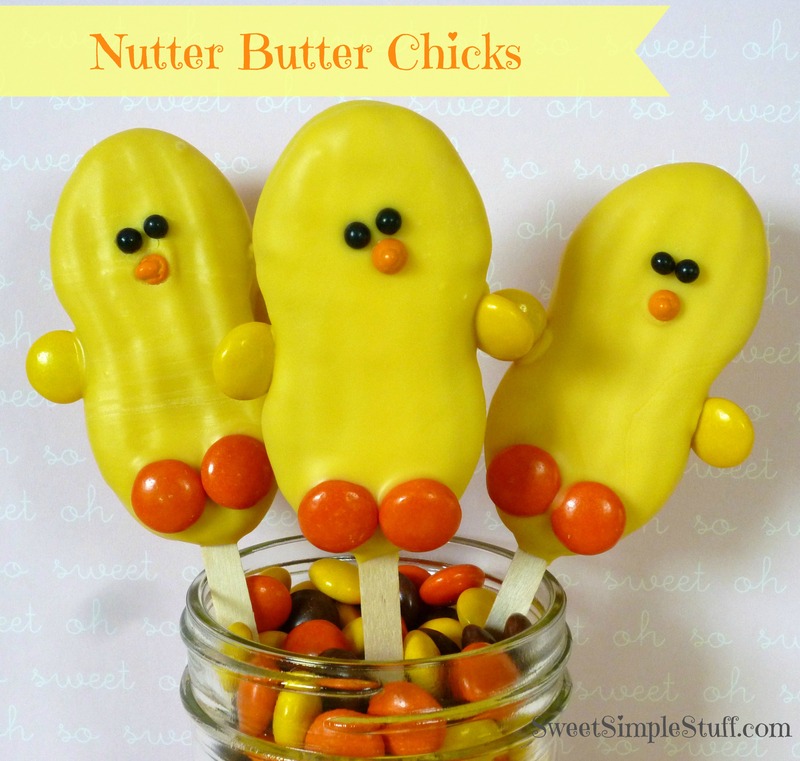 Just in time for Easter … Nutter Butter Chicks! Dip the cookie in melted candy … tap off excess … lay on wax paper. 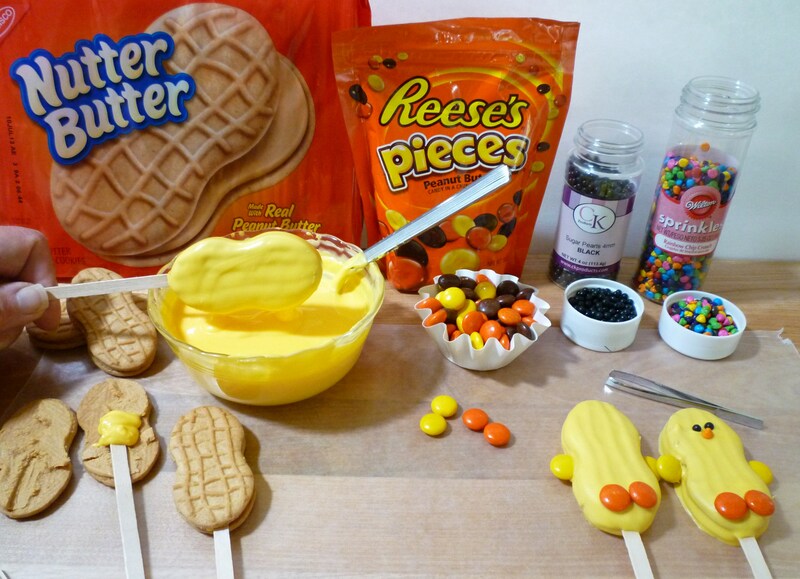 Place 2 orange Reece’s Pieces as the feet … 2 yellow ones for the wings. Place 2 black sugar pearls for eyes … 1 orange Rainbow Chip for the beak. I did use tweezers (for food only). Chill for a few minutes. I love chicks … do you remember these chicks from the past? I love all of the chicks … do you have a favorite one? Ha ha. Those are too adorable!!!! I LOVE them. I LOVE all the chicks!!! Thanks Dinaz :). I love them too! These are really cute. My family might have to have a Chick Building Party over Spring Break. You “crack” me up chick! Pun intended (egg, crack, hatch, chick!) 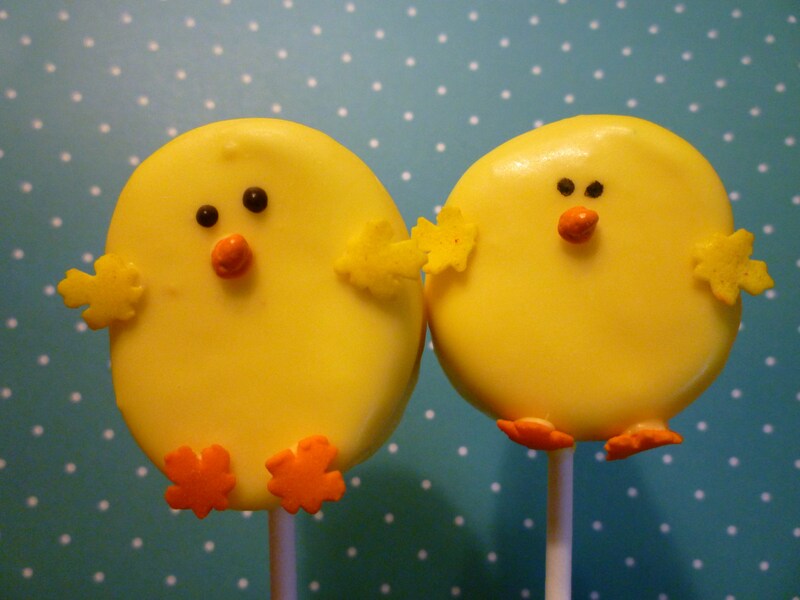 My fav are the cute marshmallow chicks – but they are all A+ chicks in my book! I got the pun 😉 Thank you Jennifer … you are too sweet! I think your chicks are sooooooo cute. Necessity is the mother of invention ;). Happy Easter! Cute, cute, cute.all the way around. Had made some of them skateboarder bunnies (remember me mentioning church dessert auction) and used the nutter butter cookies cause wasn’t able to find the cookies you suggested. They where a Big hit. My double layer carrot cake sold for $100.00 and a doz. of them little skateboaders sold last night for $65.00. All the money raised goes to a good cause; doing missionary work in Haiti this summer. Thank You So Very Much 4 ALL the wonderful ideas. Wow … double wow! It makes me happy that everything turned out so well 🙂 Nutter Butters are the answer to everything! Thank you Jen ;). Yellow candy melts are usually available at many craft stores or cake/candy supply store. You will probably find the pearls too … Dots of melted chocolate may also be used for eyes. Hope that helps! Thank you … I apologize and will fix that! 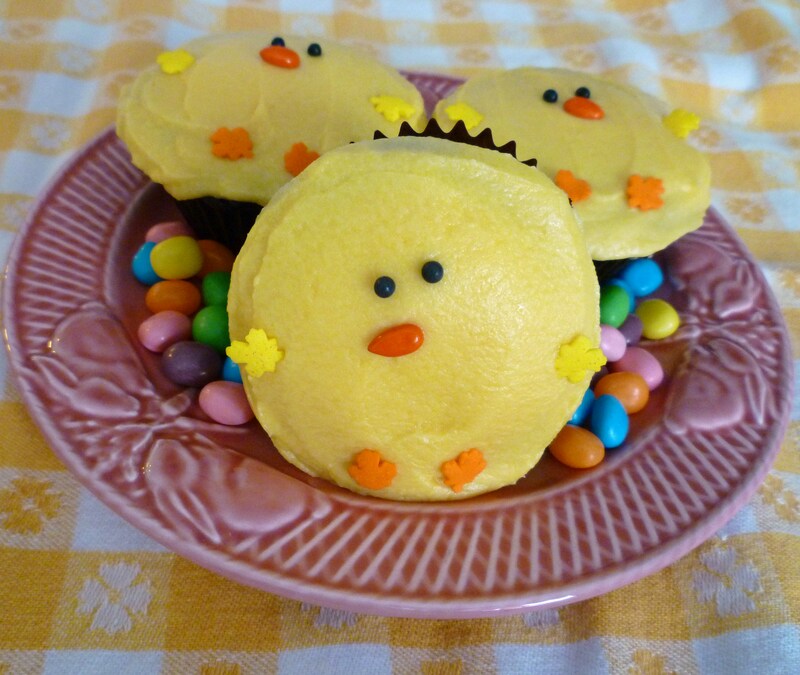 Pingback: Cute Easter Dessert Recipes - Best Ideas that You Can Do!